Raber looks at the choice to have no children through the lives of many notable people from history. The book reflects some serious digging and research to come up with an extensive list and description of people from all professions, including but not limited to: artists, actors, adventurers, architects, cartoonists, champion athletes, choreographers, classical musicians comedians, conductors, culinary stars, dancers, editors, fashion designers, filmmakers/directors, founders, historians, inventors, journalists, judges, lyricists, mathematicians, news reporters, Nobel Prize winners, opera singers, notable educators, popular singers/musicians, philanthropists, philosophers, pioneer physicians, political and world leaders, scientists, social reformers, talk show hosts, writers and even a list of Super Centenarians! It is comprehensive to say the least, as is a collection of quotes on why they did not have children. In addition to the nod to so many great people who did not procreate, Raber discusses this choice from a number of angles. 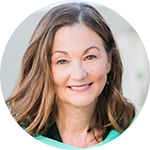 He takes us back to the Ann Landers survey done in the 1970s that asked this question: “If you had it to do over again, would you have children?” He goes into more detail than I have seen in other places that discuss this famous survey. If you don’t know how many responded “No,” all I can say is, you might be surprised. 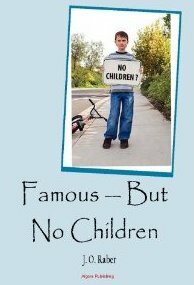 Like other books on those with no children out there, Raber discusses some of the frequently asked questions of those with no children (e.g., Don’t you like children? Don’t you care about carrying on your family name? Who will take care of you when you are old? ), and gives his answers. Philosophical discussion aside, Raber’s list of the famous with no children will leave you with this takeaway: They were not and are not an anomaly. They have been everywhere for generations. Do you want to know about amazing people from history who had no children? In the midst of deciding whether you want to become a parent? Interested in social and moral considerations related to reproduction in today’s society? If you answer yes to any of these questions, check out Famous – But No Children.